A couple of weekends back, my husband and I ran the Marine Corps honor 5K. Each year the Marine Corps Honor Run is held to honor a fallen Marine. 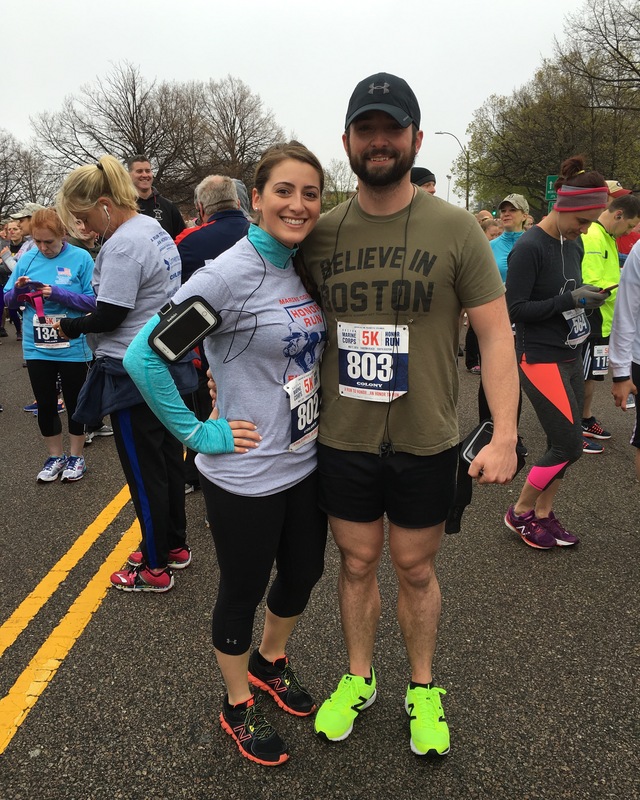 This year we ran to honor Sergeant Daniel Vasselian from Abington, MA who was killed in action in December of 2013. When I signed us up for the race, I was so excited to be running around Carson Beach for the first weekend in May. I dreamed of a warm afternoon with a slight ocean breeze and a great view. The course is also totally flat, so I was hoping for a PR 5K time. Come race day, my expectations were far from met. It was ~40 degrees, windy and drizzling. It wasn’t supposed to be cold…or rain…so neither of us were dressed properly. It wasn’t until well into mile one that I started to have a comfortable body temperature. I would much rather be dripping sweat than shivering cold when running. Mental note for next time – dress in layers! Also, I think something important to note about running is if you are by the water, you should expect temperatures to be 5-10 degrees cooler – another thing I did not consider. Although the weather sucked, it was a great course (my fastest time ever!) and it felt great to be back in a military community. There was a huge feeling of pride and family that morning and I loved being able to share that with my husband. We finished early enough to beat the Southie brunch rush and had an amazing post run breakfast at Stats Bar & Grille. 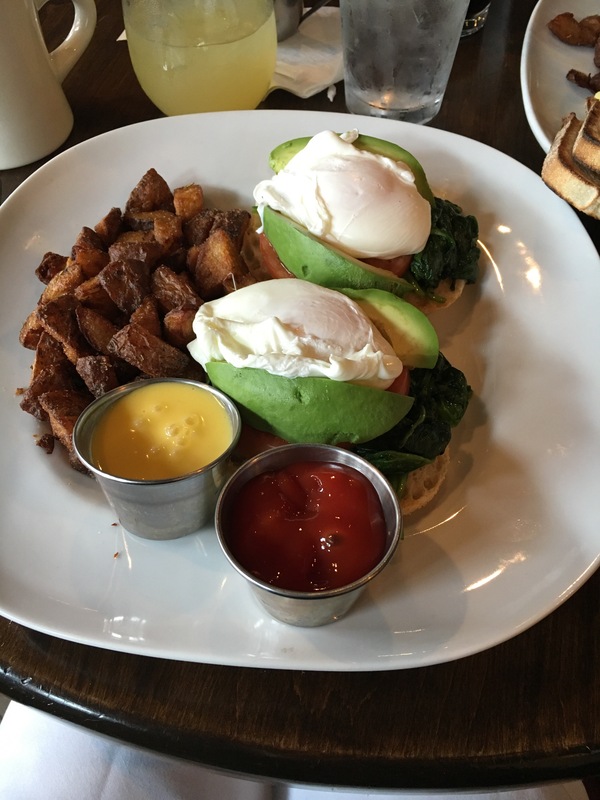 I chose the veggie Benedict – one of my favorites. I’m not sure a classic eggs Benedict will ever be the same. In other running news, I am currently training for my first 10K! A month from today I will be running the B.A.A. 10K and I can not wait! The best part? I will be running alongside my best friend! Stay tuned!